As some of you may know, I am on a major theatre kick. I’ve been watching plays, operas and today I am coming at you with a review of a ballet I rececntly saw at Darlington Hippodrome. Ever since I saw Swan Lake at the beginning of the year, I have been desperate to go to the ballet again so when I saw that a production of Rumpelstiltskin was coming to town for one weekend, I quickly rallied the troops and organised an outing. This production was brought to the stage by balletLORENT. It not only involved a cast of professional dancers but local children and local adults could also be spotted on the stage. This was a lovely addition for me and meant that there were lots of proud family members and friends in the audience! If you think you know the story of Rumpelstiltskin, you might be surprised by this production as the tale has been retold by Carol Ann Duffy. The production also had a narrator throughout, which made it really easy to follow the story that was transpiring on stage. I found this really helpful and I think it would also have been useful for the families in the audience as ballets can sometimes be a little hard to follow. I think the narration was a big part of this production feeling so accessible and welcoming. It really helped me to feel invested in the story of Rumpelstiltskin, a boy who hasn’t quite found his place in the world but knows how to bring a little extra magic into it. The dancing was of course fantastic. It was wonderfully expressive and energetic. I was quite frankly blown away by the talent on the stage. This talent seems to have been cultured in every aspect of the production. The music, setting, costumes and props all added to the folklore and fairytale feel to the ballet. 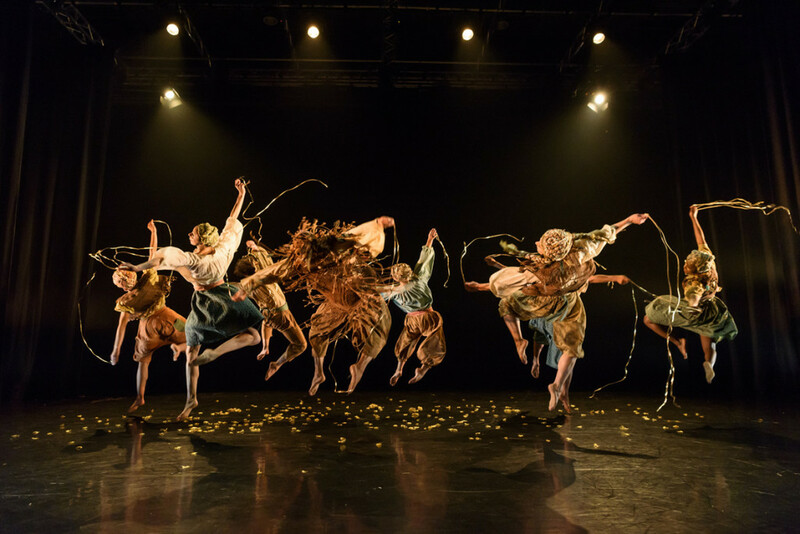 You really were lured into the story of Rumpelstiltskin from the very first moments of the ballet and you can tell that the whole team have worked tirelessly to bring a fantastic production to the stage. It was wonderful to see a little bit of magic coming to life at the Darlington Hippodrome. I love balletLORENT! I saw them do Snow White as retold by Carol Ann Duffy a few years ago and it was excellent. I love how they bring the local community into the productions.